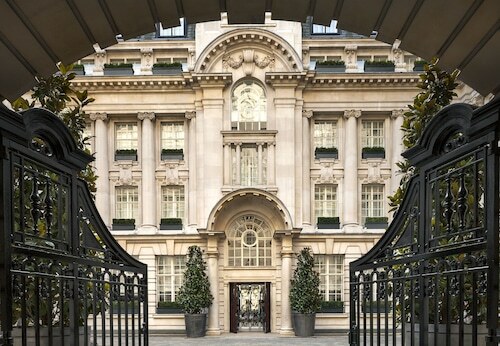 Located in London City Centre, this luxury hotel is within a 10-minute walk of The British Museum and Royal Opera House. Oxford Street and Covent Garden Market are also within 15 minutes. Holborn Underground Station is only a 2-minute walk and Chancery Lane Underground Station is 6 minutes. 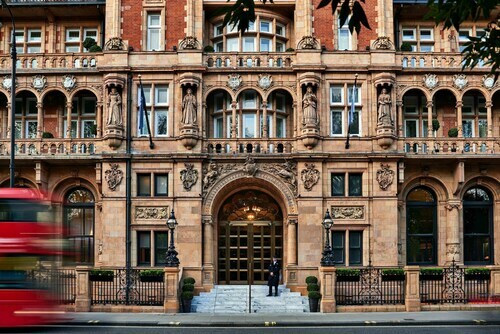 This historic London hotel overlooks the park of Russell Square in central Bloomsbury. Located 3 blocks from the British Museum, The Principal London is conveniently near Covent Garden, West End theaters, and shopping. 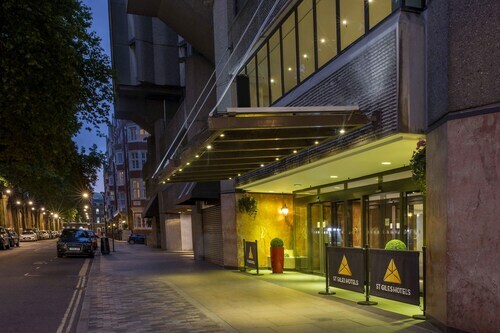 Located in London City Centre, this hotel is steps away from The British Museum and Shaftesbury Avenue. Russell Square and Oxford Street are also within 10 minutes. Holborn Underground Station is only a 4-minute walk and Tottenham Court Road Underground Station is 6 minutes. 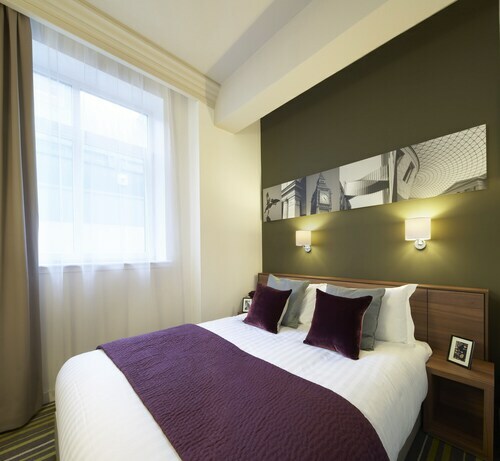 Located in London City Centre, this eco-friendly aparthotel is within a 10-minute walk of Shaftesbury Avenue, Russell Square, and The British Museum. Aldwych Theatre and Royal Opera House are also within 10 minutes. Holborn Underground Station is only a 2-minute walk and Chancery Lane Underground Station is 6 minutes. Located in London City Centre, this apartment building is within a 10-minute walk of British Library and University of London. The British Museum and Oxford Street are also within 1 mi (2 km). King's Cross St. Pancras Underground Station is 6 minutes by foot and Russell Square Underground Station is 7 minutes. Located in London City Centre, this bed & breakfast is 0.8 mi (1.3 km) from University of London, and within 3 mi (5 km) of Sky Garden and London Bridge. London Dungeon and Big Ben are also within 3 mi (5 km). King's Cross St. Pancras Underground Station and London King's Cross Station are within a 5-minute walk. 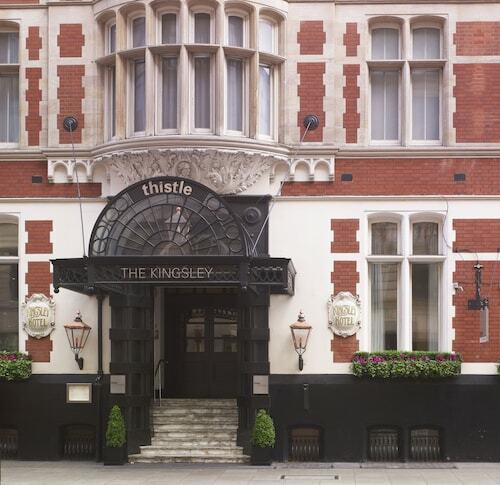 Bloomsbury hotels offer perhaps the most convenient place to stay in the English capital. Bounded by the bustling terminals of Kings Cross Station in the north and the throbbing shopping and bars of New Oxford Street in the south, the whole area is not only awash with awesome Things to Do and see, but also well-connected to the rest of the metropolis. 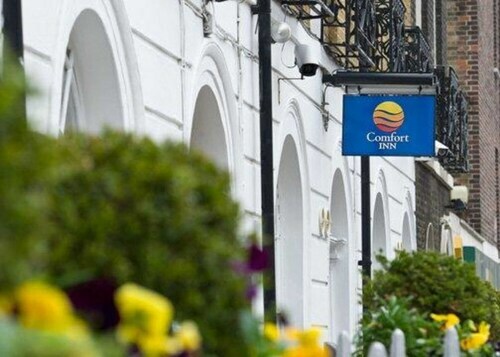 You can book hotels in Bloomsbury with ebookers to suit all budgets, too, whether you're looking for a stripped-down backpacker hostel in Russel Square or a swish boutique stay close to the British Museum. If budget's not an object, then you can certainly expect to get a Bloomsbury hotel that has all the bells and whistles of a luxury lodging – think historic features and art installations in the lobby, on-site teahouses and sprawling apartment suites. Mid-range and low budgets are also well catered for here, thanks to a peppering of simple backpacker hostels, and a smattering of guesthouses with cosy family rooms and breakfast spreads. 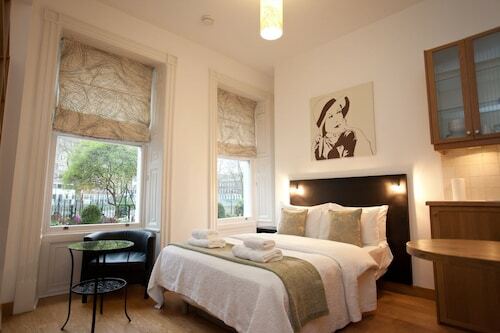 There are loads of attractions and draws for those staying in hotels in Bloomsbury. London offers up some seriously iconic cultural sites in this district, starting – of course – with the British Museum, where Greek relics and Roman statues meet thought-provoking artefacts from the Far East. That's quickly bolstered by the enchanting Charles Dickens Museum, which invites you to wander the old rooms of perhaps England's greatest ever writer. Bloomsbury is also famous for its parks, where elegant Georgian rowhouses loom over top picnic spots and running tracks. There's another real bonus of settling on a hotel in Bloomsbury: London gastronomy. With everything from Rajasthani curry houses to chain restaurants touting Italian pizzas, falafel holes-in-the-wall and classic English chippies on offer, there's plenty for those trying to keep costs down. Then comes the more refined side of things, in the form of British tearooms straight out of the Victorian era, or romantic Tuscan trattorias with fine European wines and pasta dishes. Bloomsbury covers a huge cut-out of central London, sprawling over several blocks as it goes from St Pancras to Soho. That means it might be better to trade in the pavements for a couple of hops on the Tube or the London bus network. Thankfully, both of those are easy, with the major stops at Euston Square, Russel Square, Tottenham Court Road Station and Chancery Lane offering easy access to all 4 corners of the district. And remember –there's always the trusty London black cabbies at hand if you fancy a change of transport.